The Road to EP Elections 2019: A Political Manifesto for the Eurozone? When French President, Emmanuel Macron, launched his presidential bid, the reform of the Eurozone was listed as a top priority, envisioning a shared budget and governance structure. Chancellor Merkel finally managed to strike a deal with old and new coalition partners from the German Social Democrats in early March, promising to work with France on a joint proposal to reform the Eurozone. 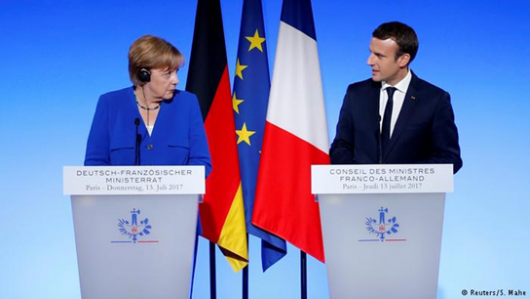 But discussions were delayed, and there are rumours that the French proposal of a shared Eurozone budget does not sit well with all circles in Berlin, including the ones that are close to chancellor Merkel. In this context, the European Commission proposed a package of initiatives on deepening the Economic and Monetary Union, including the establishment of a European Monetary Fund (EMF), new budgetary instruments for the Eurozone as well as creating the function of European Minister of Economy and Finance who could serve as Vice-President of the Commission and chair the Eurogroup. - How are the European parties positioning themselves? - What are the priorities with regards to the Eurozone under a Franco-German initiative and leadership? - Will the political parties manage to steer the reform process in the European Parliament and in their national parliaments? EURACTIV invites you to this high-level Forum with political representatives of all European Parties, including a Franco-German business perspective on the consolidation and reform of the Eurozone.